Radio Signals from Jupiter Studied by N.B.S. 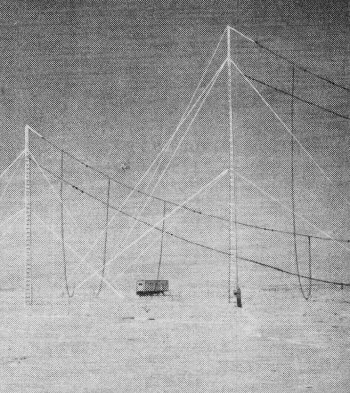 In the days before space-based radio astronomy, observations on many frequencies required waiting until nightfall because the Earth's ionospheric activity interfered with signals in many bands of interest. Two such bands are 18 MHz and 20 MHz (16 and 15 meters, respectively), on which information on lightning-type discharges from Jupiter are received. Near-real-time maps of ionospheric absorption in the D layer (caused by solar x-ray activity) are available on the Solar Terrestrial Dispatch website for 5 through 30 MHz, which is where long-range high frequency (HF) communications occur. The F2 layer is where signals are usually reflected, but absorption in the lower D layer can be severe enough to limit reception. 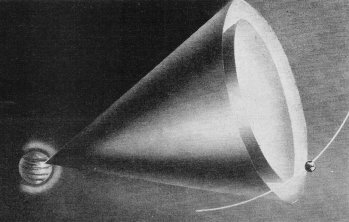 The reception cones of Jupiter's radio emissions as limited by Jupiter's ionosphere. These antennas direct radio signals originating 500 million miles away from earth to recording equipment located in the trailer. Distant planet emits pulse-type radiation that appears to indicate the presence of a surrounding ionosphere. For about two years astrophysicist Roger Gallet at the Boulder Laboratories of the National Bureau of Standards has been studying radio signals of tremendous power from Jupiter. Gallet's work rules out thunderstorms as the possible source since lightning discharges, unlike the signals being received from the planet, broadcast on all frequencies at the same time and have other different characteristics. The actual signals consist of 2-second pulses having 100 thousand times more energy than that contained in a strong local lightning discharge, and 30-millisecond pulses of infrequent repetition. Concerning the origin of the signals, it is suggested that they may have a shock-wave origin possibly from geyser-like phenomena or volcanic activity, although different from any such activity we know on earth, because the material constituting Jupiter is different from Earth. Perhaps the most important evidence on Jupiter that has been collected is that which seems to prove that the huge planet has a strongly ionized upper atmosphere - an ionosphere - similar to our own. And just like our ionosphere its electronic density varies in relation to the amount of ultraviolet radiation given off by the sun. Emissions, recorded at a specific frequency, come through a cone of transmission radiating from the source. This seems to indicate that the radio waves within the cone are penetrating Jupiter's ionosphere, but the oblique waves outside the cone are being reflected back to Jupiter by its ionosphere. It has also been found that the cone is larger for 20 than for 18 megacycles. 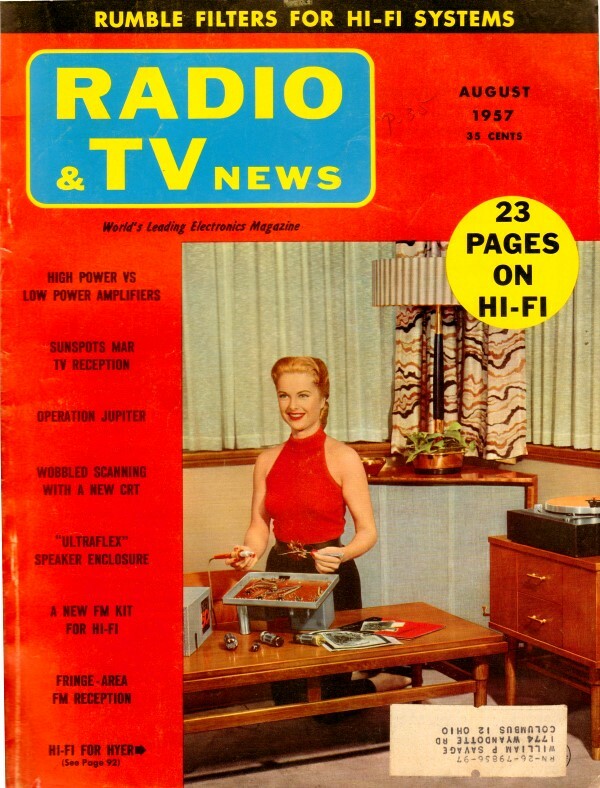 These are the two frequencies on which the observations are conducted. Interestingly enough, this radio astronomy work must be done only at night when our ionosphere is less ionized and the Jupiter waves can come through. Here is screen shot of near-real-time maximum usable frequency (MUF) for regions on the earth.